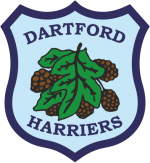 Throughout the Summer, we organise a number of Open Meetings which are open for all to compete, you do not need to be a member of Dartford Harriers. The open meetings serve as an excellent opportunity to participate in a competitive fixture in a friendly environment. All events will take place at Central Park, Dartford. All events are held in the spirit of UK Athletics Rules. For all field events, we will endeavour to trial 6 rounds although this is dependent on entries. There will be electronic timing (through JustTiming) and EDM for all long throws. How do I enter and how much does each event cost? £5.00 per event, made online up to the Sunday before the event. £7.00 per event, made online on either the Monday or Tuesday before an event. Please note online entries close at 18:00 the Tuesday before each event. Entries can also be made on the day, in our club house at a cost of £8.00 per event.